Come to the Depot in Norman and experience a modern-day event space that's steeped in history. 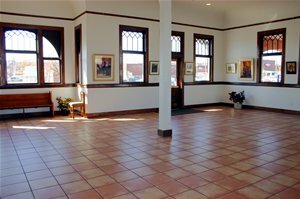 This restored Santa Fe railroad station is a historically significant building that was the focal point of growth in Norman. 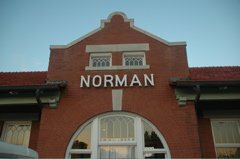 The Norman Santa Fe Depot is listed on the National Register of Historic Places and the Depot has been developed as a multi-use facility and downtown urban park known as "Legacy Trail." It is also a whistle stop for the Amtrak Heartland Flyer passengers between Oklahoma City and Fort Worth. The building and grounds are available for cultural and community activities like art shows, concerts and more.